Susan Hansen, Creative Director-Marketing Communications | Vandewalle & Associates, Inc.
Susan Hansen is a Principal marketing communications expert. At Vandewalle & Associates Susan works on finding clear and compelling marketing solutions for Vandewalle & Associates and our clients, as well as directing, designing and producing creative documents and marketing materials. Susan has over fifteen years of advertising agency experience as copywriter, designer, and creative director, as well as related background in landscape architecture. She has worked to create selling concepts, marketing platforms, design, and copy tone for a wide range of local, national and global clients. 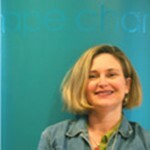 Susan has developed print materials, as well as radio, television, and video. Brand creation is an area of particular interest in all of Susan’s work, whether it’s marketing, or communicating a “sense of place.” In the past, she was responsible for helping create unique brand images for US companies Mercury Marine, Kohler, CUNA Mutual Group, Oscar Meyer, Rayovac, and Kraft, as well as international and overseas companies including GE Health, Philips Medical Systems, HOPPE, and BBC Technologies. Over the years at Vandewalle Susan has been involved with the countless marketing communications pieces including Madison Healthy City Initiative, the Park Street Partners Vision Project, Deforest Marketing, Uptown Fitchburg, Racine RootWorks and Machinery Row vision development, Rifle River Town/Energy Village Opportunity Analysis, Milwaukee 7, Water Council, East Dundee Culinary District marketing, Pretzel City Kitchens marketing, logo and web site. She also develops infographics and vision graphics for a variety of uses. You can email Susan here.